Lou Gehrig’s Disease, also known as Amyotrophic Lateral Sclerosis (ALS), affects about 5,600 Americans every year according to the CDC. Lou Gehrig’s Disease is a debilitating disease that affects the motor neurons of the brain and spinal cord. ALS damages and destroys the motor nerve cells that are essential for sending signals to the muscles throughout your body and there is no known cause aside from family history. ALS causes the muscles of the body to weaken, shrink, and in late stages of the disease, become completely paralyzed. Over time, this progressive disability can make your Elderly or Senior loved one increasingly dependent for care as the most simple of tasks become difficult. Normal activities such as getting out of bed, getting dressed, opening a door, eating, and walking can become impossible without the assistance of a loved one. 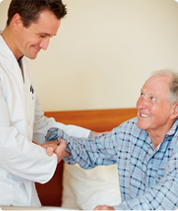 At A-1 Home Care, we understand the position you may be in as daily obligations may make it difficult to provide full-time care for an Elder or Senior loved one with ALS. We can provide experienced caregivers, nurse aides, companions, and home helpers for Lou Gehrig’s Disease Care no matter what stage of the disease your loved one may be in. All of our compassionate ALS homecare professionals must have at least 2 years of prior at home caregiving experience, verifiable professional references, a National Background Check/DMV Check, Tuberculosis testing, Malpractice/Liability insurance, First Aid/CPR training, and a personal interview with our office staff. 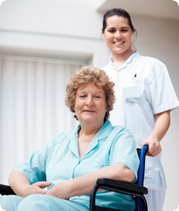 A-1 Home Care is a Licensed Bonded and Insured non-medical homecare agency that has been a care provider in Huntington Beach, CA since 1991 with an A+ Rating from the Better Business Bureau, Shield Accreditation, and memberships with the National Care Planning Council and Chamber of Commerce of Torrance, Santa Fe Springs, Pasadena, and Newport Beach. We serve the OC communities of Huntington Beach, Newport Beach, Costa Mesa, Fountain Valley, Laguna Beach, Corona Del Mar, Irvine, Garden Grove, Seal Beach, Los Alamitos, La Mirada, Buena Park, Villa Park, Anaheim Hills, Fullerton, Yorba Linda, and others in Orange County. 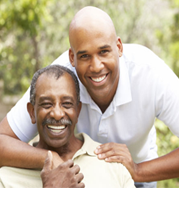 To interview and hire a caregiver in your area today, CALL us at 949-650-3800 for a FREE in-home assessment.